There comes a time in life when you want to treat yourself to something special and the easiest and most fun way to give yourself exactly what you deserve is by getting behind the wheel of the 2019 Mazda MX-5 Miata or the 2019 Toyota 86. Climbing into the cockpit of either one of these stylish sporty coupes will instantly improve your daily-driving and permanently put a smile on your face. You can see the similarities and differences between the 2019 Mazda MX-5 Miata and the 2019 Toyota 86 right here below with our side-by-side comparison. Both the 2019 Mazda MX-5 Miata and the 2019 Toyota 86 also offer an electronically-controlled 6-Speed Automatic Transmission as well for slightly improved fuel economy. Neither the 2019 MX-5 Miata nor the 2019 Toyota 86 offer an engine upgrade from their standard engines. 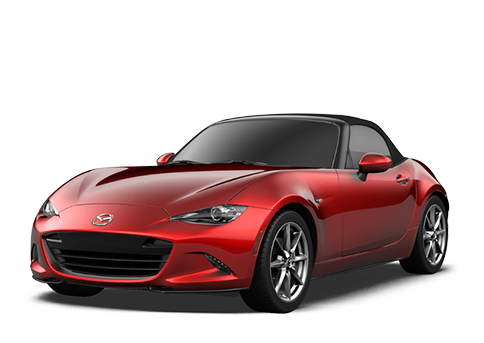 One of the main differences you will notice between the 2019 Mazda MX-5 Miata and the 2019 Toyota 86 is that the MX-5 Miata has a standard convertible soft top or a Retractable Fastback (RF) roof option. On the interior of the 2019 Mazda MX-5 Miata and the 2019 Toyota 86 you will find a 7” color touchscreen display with Bluetooth® connectivity but the Mazda MX-5 Miata also gets equipped with a Bose® 9-speaker stereo with headrest speakers and subwoofer on its two upper trim levels while the 2019 Toyota 86 only offers an 8-speaker stereo. There is the option of heated leather-trimmed seats in the 2019 Mazda MX-5 Miata and the 2019 Toyota 86 but the MX-5 Miata also gets a standard leather-wrapped steering wheel and shift knob which only comes as an upgrade for the Toyota 86. There is spacious seating for two people inside the 2019 Mazda MX-5 Miata while the 2019 Toyota has four passenger seating but the MX-5 Miata has more front seat legroom and headroom than the 86 does. With its standard convertible roof, better cabin comforts, and more spacious interior the 2019 Mazda MX-5 Miata is the clear choice over the 2019 Toyota 86. 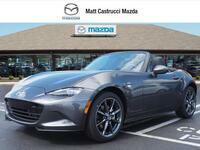 Come and take the 2019 MX-5 Miata for a test drive today at Matt Castrucci Mazda in Dayton, OH to add some excitement to your daily driving.